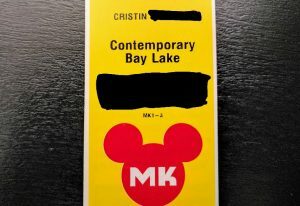 I love just about everything at Disney World (you may have noticed this by now). One of my favorite things about traveling to Disney World is the Disney’s Magical Express service offered to guests. This is because right from the moment you arrive at Orlando International Airport the Disney magic begins. Disney’s Magical Express is a free motorcoach shuttle (for guests staying at eligible on-site Disney World properties) that brings you between Orlando International Airport and your hotel. The shuttle is nice, but the best bit of magic is that if you pre-register and tag your checked baggage, it will be transported to the resort for you. Please note: This baggage service is not 24 hours per day, so make sure to check hours of availability. Make sure you pre-register your arrival with Disney’s Magical Express. If you have properly registered in advance you will receive a packet in the mail at home. 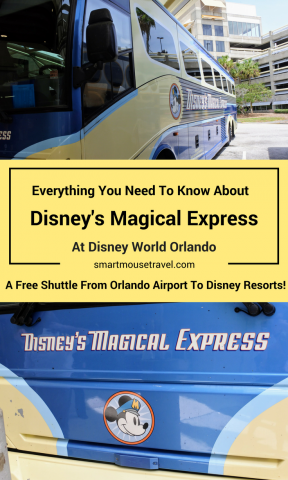 A welcome letter with detailed information on how to find Disney’s Magical Express at Orlando International Airport and how the service works. This letter with bar code is your ticket to board the Magical Express (or you can use your Magic Bands). Yellow tags for checked baggage. These yellow tags must be attached to all checked luggage that you would like collected on your behalf. If arriving from a US destination your properly tagged bags will be collected and delivered to your resort room in a few hours (if arriving during baggage service hours). International travelers will have to collect checked luggage and proceed to US customs. Once through customs you may bring all bags to the Magical Express or place them (if properly tagged) on the transfer carousel and a cast member will retrieve them for later delivery to your resort room. Pro tip: Anything you need in the first few hours of arrival (especially Magic Bands) should be packed in your carry-on luggage or personal item, since those items go with you on the bus. We have waited up to 6 hours for our baggage to be delivered to our room, but average is closer to 4 hours. Expert mode: My personal item on the plane is always my packed park bag. This way when we arrive at our hotel we can leave our carry on luggage with bell services and hit the parks even if our room isn’t ready yet. How do I register for Disney’s Magical Express? If you have your flight information when booking your vacation package you can provide the information to the Disney World agent (or your travel agent if using one) right away. I generally book my Disney World trip well before my flight. This means I need to get the information to Disney’s Magical Express later. U.S., Puerto Rico, or Canada residents may use the Disney Magical Express website or call Disney at (866) 599-0951 (or your travel agent) directly. If you reside elsewhere please call Disney (866) 599-0951 or your travel agent to register for Disney’s Magical Express. Make sure you pre-register for the Magical Express. Registering will ensure you have transportation to your hotel upon arrival. 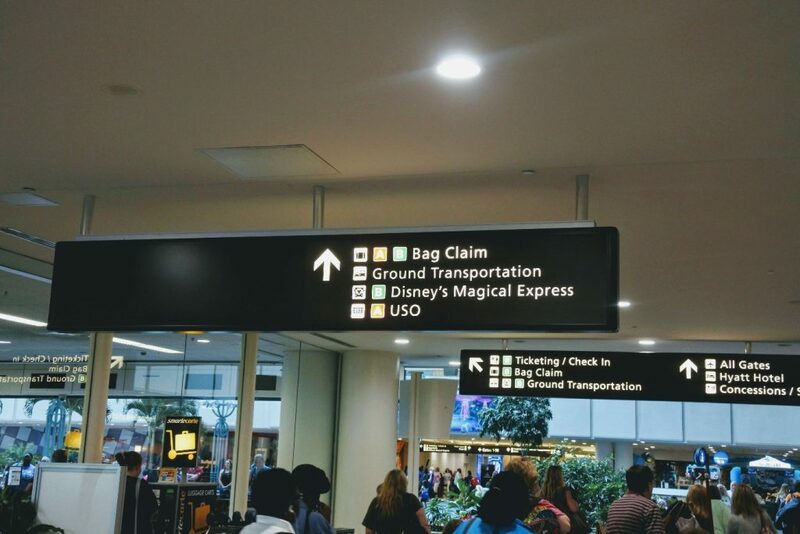 Once you arrive at the airport, follow the signs for Ground Transport and Disney’s Magical Express. Please note: if arriving from outside the US make sure you collect your checked luggage and proceed to customs first. The coaches often serve more than one resort. I mentally allow a travel time of 90 minutes from Orlando International Airport to my resort. Once you have boarded Disney’s Magical Express enjoy the air conditioned comfort. Here you can watch videos about what to expect at the parks and classic cartoons. Before you know it you will arrive at your resort. The night before your return flight (that you pre-registered with Magical Express) an envelope will arrive in your room. This packet outlines the time and where you will be picked up for your trip back to the airport. Pickup times are about 3 hours ahead of a domestic flight and 4 hours before an international flight. Meet your motorcoach with all of your luggage (unless you do resort airline check-in) at the designated spot and time. You will be whisked back to the airport for your flight home. 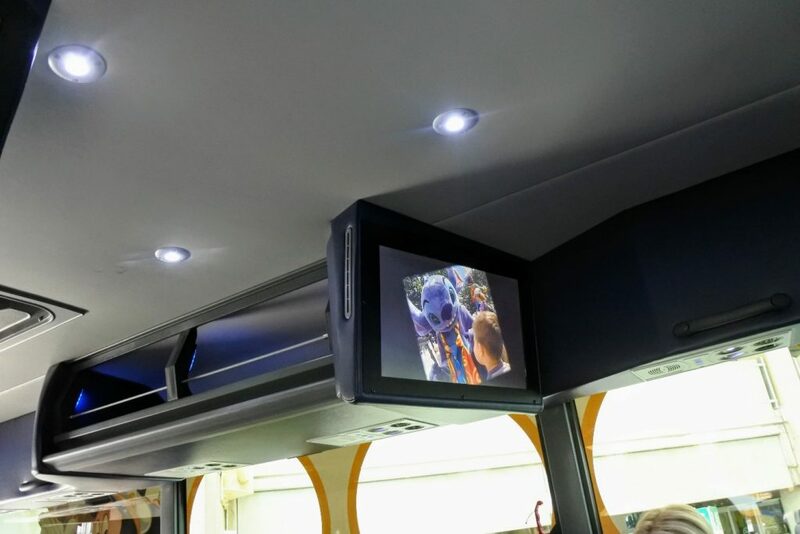 We appreciate the convenience of Disney’s Magical Express. It is one of the reasons we like to stay on-property at Disney World. Having pre-arranged transportation from the airport to our Disney World resort (and back) is especially great since it is free. 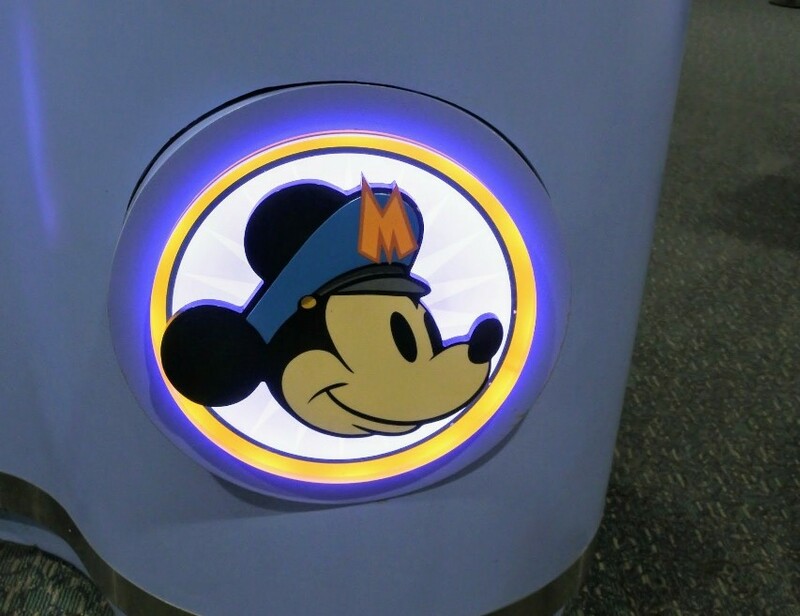 The ride is nice, but our favorite part of Disney’s Magical Express is skipping baggage claim! In case you have more questions here is a link to Disney’s Magical Express where you can find frequently asked questions. 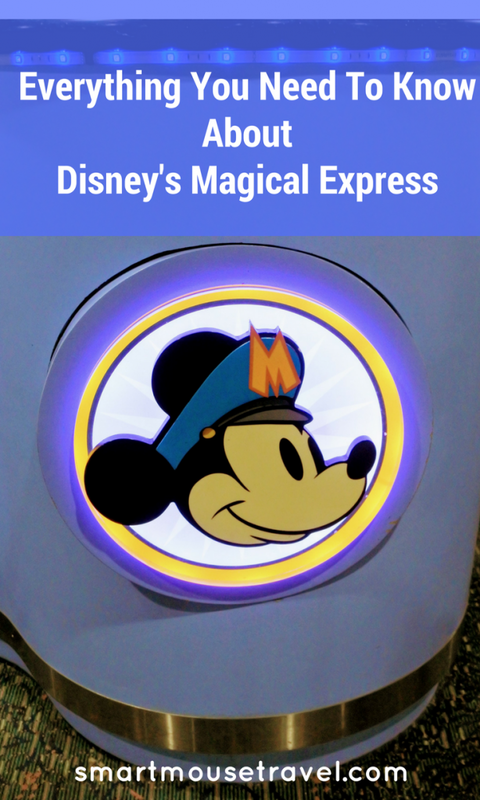 Have you used Disney’s Magical Express? What did you think? that is so cool about the bags and a great tip on packing your park bag!